Those devices we all use, operate on software that we expect to always work, and when it doesn’t – we get irritated. In order for any device to work properly, all the software that makes it tick, should be tested. Undiscovered bugs or regressions can cause enormous losses for a company and frustrate your target audience. Unfortunately, basic frameworks created by Apple and Google do not provide an answer to all these demands, and multiple open-source communities try to create additional tools that try to fill-in these gaps. 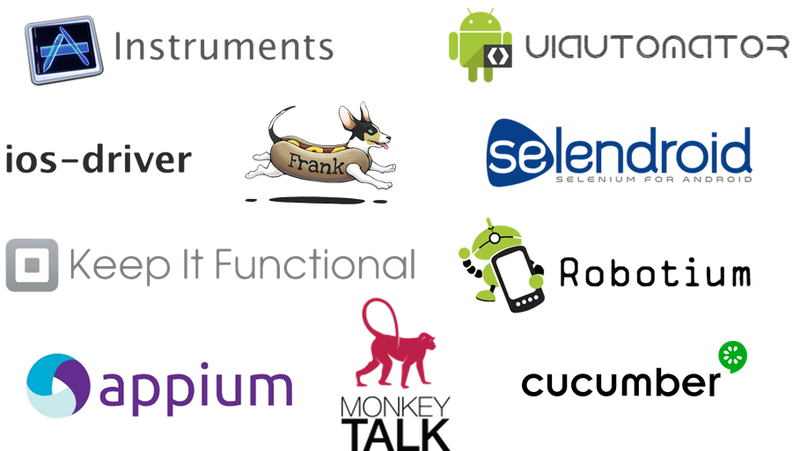 Some use Calabash from Xamarin, others use the iOS Driver or Selendroid and some use less known tools such as Frank, MonkeyTalk, KeepItFunctional or Robotium. Lately, the most significant player on the stage is Appium. Appium tries to take the best from all worlds, and is considered to be the silver bullet which implements the tests automation principles mentioned above. Appium is an open source cross-platform test automation framework to use with native, hybrid and mobile web apps. Since it’s a black-box testing tool, there is no need for the source code of an App. With Appium it’s possible to automate any mobile app using different languages and have full access to back-end APIs and DBs from your test code.